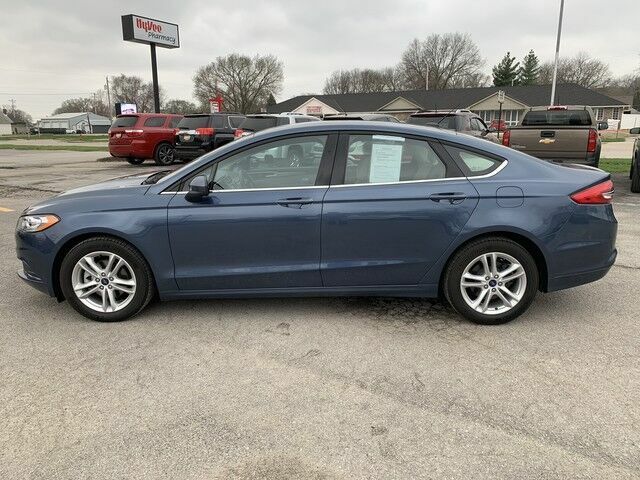 Contact Barrett Auto Center today for information on dozens of vehicles like this 2018 Ford Fusion SE. This 2018 Ford Fusion comes with a CARFAX Buyback Guarantee, which means you can buy with certainty. The Ford Fusion SE is economically and environmentally smart. Ford clearly delivers on its promise to provide a fuel-efficient vehicle that has the great qualities you need in a vehicle. Surprising quality accompanied by a high level of performance...this Blue Metallic on Medium Light Stone Ford Fusion SE could end up being the perfect match for you. Look no further, you have found exactly what you've been looking for.